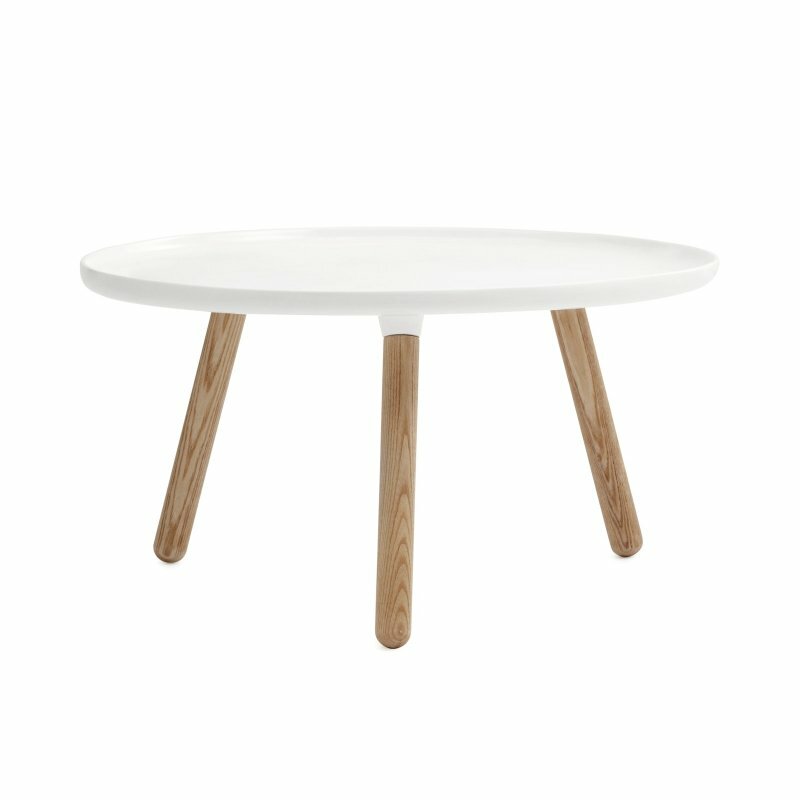 Tablo Table Square is a plastic and wood occasional table with a simple beauty, designed by Nicholai Wiig Hansen for Normann Copenhagen. A minimalistic table without unnecessary details that is quick and easy to assemble without screws. The name Tablo is a reference to the English &apos;table&apos; and the French &apos;tableau&apos;, which means a scenically arranged arrangement. Comes in black and white with four ash legs. It works well alone, in combination with each other, or put together with the round tables to emphasize the contrasting look. Tablo&apos;s simple design allows it to fit in with most interiors.